NB: Brainwaves tracks uses different frequencies for your left and right ear to simulate the same frequencies your brain has during sleeping and relaxation states. They are particularly useful and powerful if the player listen to them for more than 5-10 minutes and many studied have actually confirmed their effectiveness. Those tracks can now be found in every refuge. Improved Smooth Locomotion: It's now easier and more intuitive to move. The forward movements are now at a costant velocity which should improve the comfort while moving around. As usual let us know if you have any feedbacks or issues! Since the release date we worked hard to release few patches that improved perfomance, fixed a lot of bugs and made few quality of life improvements. But we're finally happy to announce that our first content update is just around the corner. The update 2.1 will be the first one to actually bring new stuff for you to do and it's just the first of our 2.x cycle. We went back to the drawing board to see what were the first things we could improve and to add to our title and we decided to start with the refuges. We had 6 refuges until now and they were cool little and intimate places for you to relax. But besides entering them you couldn't really do much. This is gonna change with update 2.1. In our effort to make this game good for you and your mind and to help you giving you some more immersive tool to free your mind and relax we implemented in most of the refuges a Breathing Exercise you'll be able to execute everytime you want. It's amazing to be able to do something that scientifically help you reduce your heartbeat while still being in a fantasy and relaxing environment that you cannot have in real life. Most of the refuges will have special harmonic brainwaves tracks that emit different frequencies to your right and left ears and a lot of scientific studies have demonstrated they actually help to reduce stress and are useful to get you in a calm and relaxed state. Those tracks simulate the same frequencies that your brain emits in those relaxing situations like sleeping and many others. We can guaranteed that the combination of our immersive refuges plus the new breathing exercise and the harmonic brainwaves tracks are a very cool and powerful way to relax while enjoying the experience. Last but not least since we took the time to revisit all our refuges we also added a completely new one. You'll be able to visit a new special refuge in our sci-fi scene that will bring you in a cool tour of space with close-up to planets and a lot more. Expect also HTC Vive improvements especially like locomotions with more intuitive and easier way to smoothly move around with costant forward accelleration that reduce motion sickness and increase comfort, added the input to Run and move faster and many other improvements. That being said I'll see you soon as the update 2.1 will drop! 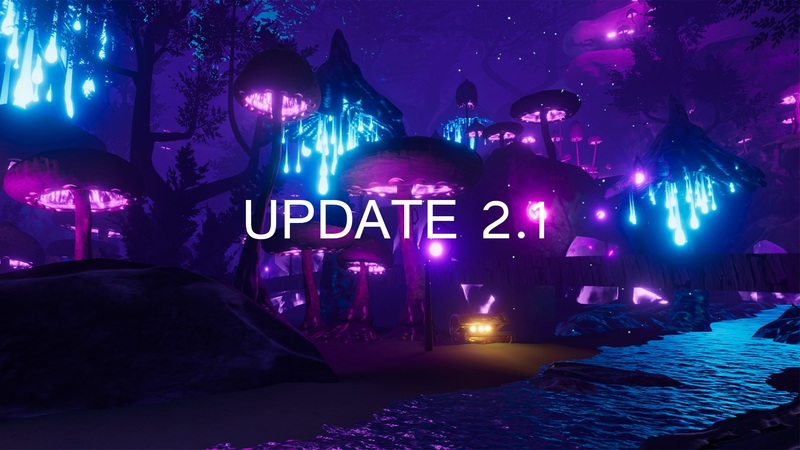 UPDATE 2.1.0: IMPROVED REFUGES, ADDED BREATHING RELAXATION EXERCISES, HARMONIC BRAINWAVE MUSIC TRACKS FOR MEDITATION AND A COMPLETELY NEW SCI-FI REFUGE!